I am in LOVE with these boots.. You know the saying "High Heels, High Hopes" well these are definitely HIGH and I need these right now. 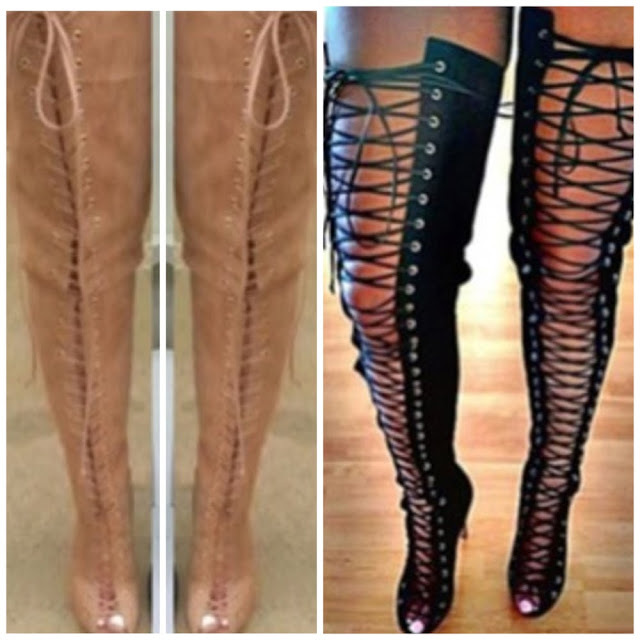 Check out these ZigiNY boots (As seen on Draya Michele & Keyshia Ka'oir) available on Bdonnas (PRE-ORDER ONLY) for $210 and also at Buy Me Everything for $170. Oh my, those boots are interesting!! !